We got some edgy little dogo here from the Shadow Paladin kind. 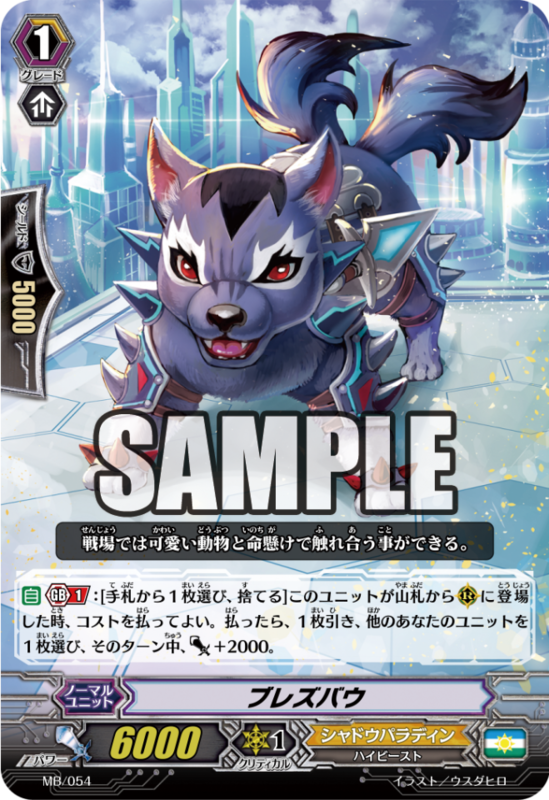 [AUTO][Generation Break 1]:[Choose a card from your hand, and discard it] When this unit is placed on (RC) from your deck, you may pay the cost. If you do, draw a card, choose one of your units, and during this turn it gains [Power] +2000.